Robert Harbaugh, M.D., professor and chair of Penn State Department of Neurosurgery and director of Penn State Hershey Neuroscience Institute, encourages all members of his department to take an active role in the field. “One thing we encourage in our residency training, aside from the usual missions of education, patient care, and research, is involvement in organized neurosurgery.” As they train new residents, Penn State Hershey Neurosurgery faculty members also encourage younger physicians to pass on their knowledge and adopt a citizenship role in the field. Harbaugh himself holds multiple leadership positions, including president of the Society of Neurological Surgeons. He previously served as immediate past president of the American Association of Neurological Surgeons and director and member of the Advisory Council of the American Board of Neurological Surgery. Harbaugh has traveled extensively to lecture on various topics, including his clinical specialty of cerebrovascular neurosurgery and his research work on computer modeling of intracranial aneurysms. Brad E. Zacharia, M.D., M.S. Brad E. Zacharia, M.D., M.S., brings new techniques to Penn State Hershey Neurosurgery, to improve the safety and effectiveness of brain tumor surgery, including functional brain mapping and endoscopic skull base surgery. Please call 717-531-3828 with questions or to schedule an appointment for your patients. Patient unable to stand for a significant time, secondary to excruciating pain with sagittal imbalance. 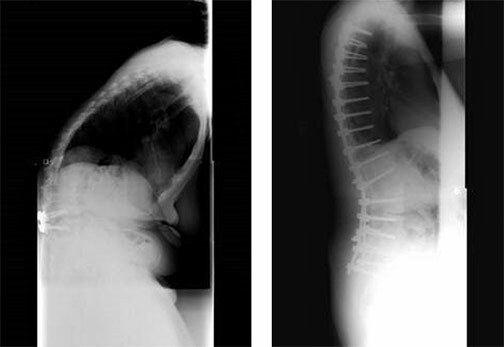 On the right are standing films of the same patient after multilevel surgery correction of the sagittal imbalance. Open communication between participants enhances the success of the Penn State Hershey LionNet telestroke system. 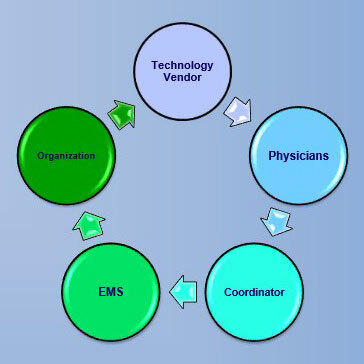 Penn State Hershey Medical Center spearheads a sophisticated telestroke system, LionNet, expanding the capabilities of partner hospitals. By exposing more patients to specialized neurological care, LionNet can dramatically increase positive outcomes for patients with both ischemic and hemorrhagic stroke. Using advanced computer systems with webcams, LionNet allows a Penn State Hershey stroke neurologist or neurosurgeon to consult in real-time with an ED doctor at a partner facility. The specialist examines the patient remotely, reviews scans, and makes a recommendation regarding whether to begin intravenous tPA therapy or transport the patient for possible neurosurgical intervention at Penn State Hershey Medical Center. Robert Harbaugh, M.D., professor and chair of Penn State Hershey Neurosurgery and director of Penn State Hershey Neuroscience Institute, has been chosen as president-elect of the Society of Neurological Surgeons (SNS). The SNS is the oldest neurological society in the world and includes leaders in neurosurgical residency education. Harbaugh also serves as president of the American Association of Neurological Surgeons and as vice-chair of the American Board of Neurological Surgery. 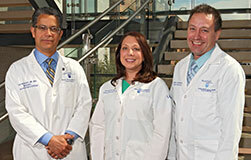 L to R: Kevin Cockroft, M.D., Jennifer Humbert, R.N., and Ray Reichwein, M.D. LionNet, Penn State Hershey’s regional stroke care network, offers real-time video consults with doctors in area emergency departments (EDs) and Penn State Hershey specialists, providing faster diagnosis and treatment of strokes for patients throughout central Pennsylvania.